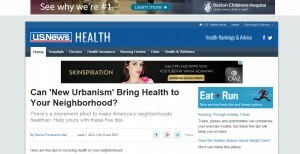 Can ‘New Urbanism’ Bring Health to Your Neighborhood? There’s a movement afoot to make America’s neighborhoods healthier. Help yours with these five tips.